Textured Coatings of America, Inc. is ahead of the industry with its patented technology to meet the ever-changing requirements for energy savings and lowering emissions.  Since 1961, Textured Coatings of America, Inc. has developed advanced products that do just that. With green governmental initiatives, regulations, and building codes that now mandate the use of heat-reflective wall and roof coatings, Textured Coatings of America, Inc. is well-positioned with its products that already meet these guidelines. We explain how our patented technology gives TEX•COTE® COOLWALL® and REFLECT-TEC® an advantage in the industry and why our products are the right choice to save energy, reduce cooling costs, and lower emissions. Recent research has shown, “Cool walls save energy…in homes, offices, and stores” in various climates. The UHI effect influences our planet and our people in cities with temperatures that are warmer than their surroundings in rural areas. It has a negative impact on people’s health, including heat stroke and exhaustion. It also forces individuals to consume more energy during hotter months to keep cool, making the summer a peak time for energy use. The research from the EPA offers strategies to combat the heat and promote energy efficiency, which include reflective roofs as a solution. The EPA notes in their Reducing Urban Heat Islands: Compendium of Strategies, “Cool roofing can help address the problem of heat islands, which results in part from the combined heat of numerous individual hot roofs in a city or suburb.” With a vast amount of research and studies sprouting from the UHI effect, Textured Coatings of America, Inc. is proud to offer products that already meet the standards to reduce surface temperatures and save energy. Our technology gives us an advantage compared to other companies who may have to reformulate their current products to meet these guidelines. 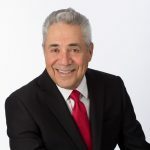 Textured Coatings of America, Inc., on the other hand, does not have to “reinvent the wheel” because our technology put us ahead of the current research. The National Institute of Building Science’s Whole Building Design Guide (WBDG) outlines green codes, standards, and certifications for buildings. These requirements will vary by state, but the overall goal is to create green standards that positively affect our planet. The WBDG states, “Green building codes continue to be developed and adopted in the U.S. and abroad that seek to push the standard of building design and construction to new levels of sustainability and performance.” TEX•COTE® products align with the green building codes because our high-quality coatings are developed with sustainable ingredients. Our products are backed by proven technology, giving Textured Coatings of America, Inc. a greater advantage to demonstrate that TEX•COTE® COOLWALL® and REFLECT-TEC® reduce surface temperature up to 40° F. Temperature reductions may vary based on the color chosen, geographical location, climate condition, and substrate type. 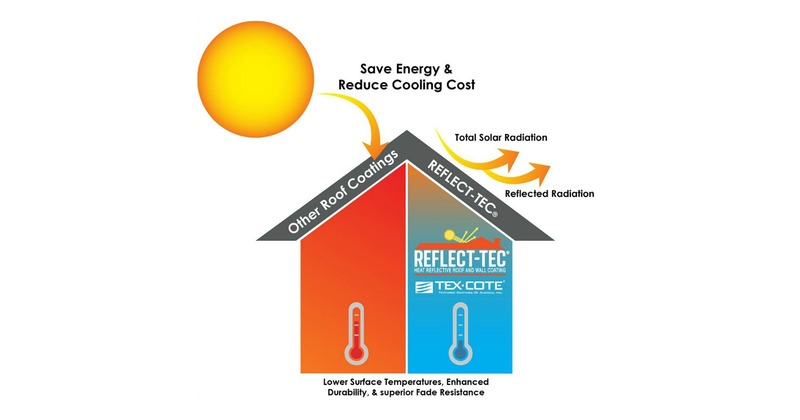 However, TEX•COTE® products are designed to lower cooling costs where other products may fall short. Recent studies have shown that the UHI effect is a serious issue that must be addressed. The EPA’s Heat Island Reduction Program’s mission is to “encourage heat island mitigation implementation through voluntary and regulatory programs and policies.” TEX•COTE® products are ahead of the industry when it comes to exceeding the standards of the EPA’s Heat Island Reduction Programs. There are various green building codes and programs that incorporate cool wall standards to promote sustainable initiatives. Textured Coatings of America, Inc. meets and exceeds these standards and always seeks to advocate for environmentally-friendly products. Become a part of the TEX•COTE® story today and use products that contribute to the environment’s health. Contact us to learn more about our products and how to become an authorized applicator, distributor, or dealer today.